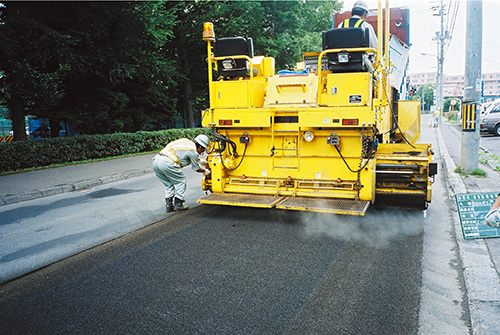 Paving materials are intermediate products similar to raw materials. However, favorable the results of laboratory testing are found to be, these results will be of little value by themselves. 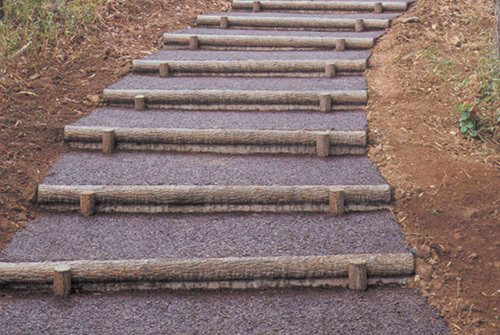 Only with the accumulation of outdoor implementations will the materials begin to exhibit their true values as paving materials. This is also the reason why the research into the most suitable paving construction methods and the development of implementation machinery that will satisfy the on-site needs must also be repeated to anticipate every kind of outdoor condition. Further, as road development progresses and the amount of paved roads increases, the maintenance and management of these roads will also become very important, so that timely maintenance or repair work will be required. 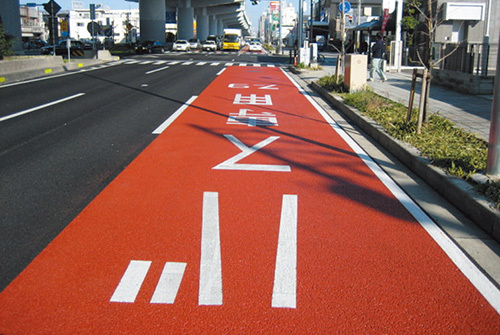 In combination with its research into new materials and their implementation methods, Nichireki is tackling the establishment of the most effective methods for maintaining and repairing existing paving and is striving to develop unified systems which include road surveys, materials, and construction methods.